During each summer our entire team is busy in a lot of areas. One of the jobs that keeps Mike busiest is teaching Scripture and analyzing the Word. 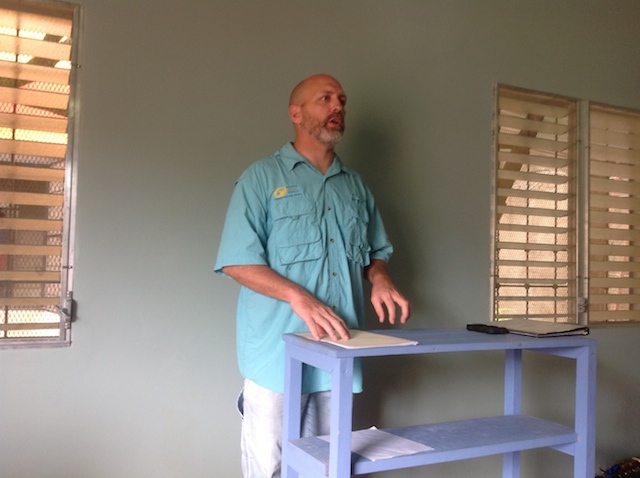 Each week Mike leads our team and our visiting missionaries in studies and devotionals. 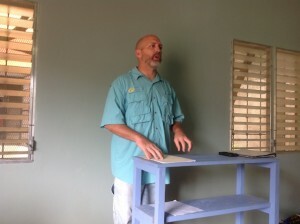 During Gringo Church each Sunday Mike leads our team and any visiting short-term missionaries in a study of Scripture. For the majority of the year we have been studying the Old Testament. Mike is leading the team through a study on the early history of Israel. We are finding Christ in the Old Testament and seeing our own sin in the sins committed by Israel. 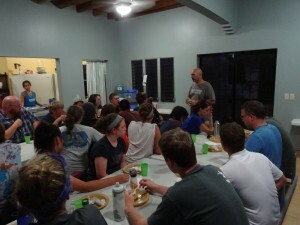 In addition the kids from our team are memorizing Bible verses and reciting them during Gringo Church. Three evenings each week the short-term missionaries hear a devotional on the topic of missions. The three devotionals are “Why missions,” “Why you,” and “Why here.” Created by our team, these devotionals direct our short-term missionaries to think about the Great Commission and our role as Christians. 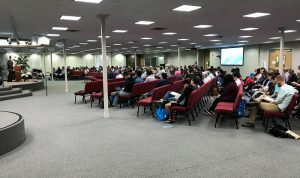 It is part of our effort to try to benefit the ministry of home churches. It is important to our team to remain focused on the Word. Mike is not a gifted or trained theologian or preacher, but he is passionate about glorifying the Lord.